Mindset Mastery Bootcamp Live is a fun, engaging 9-week group training process conducted at our office in Athens, Georgia (online version to be released soon). Have you ever experienced a moment of peak performance? You feel in complete control of yourself. All of your thoughts and actions align in perfect flow to bring you what you want. You feel energy surge through you and clarity sweep through your mind. You feel powerful, like you are handling the task at hand with ease and nothing can stop you. In short, you feel like the best version of yourself. Whoever said big things don’t come in small packages? Read this book. Internalize the words. And watch as you Deliver like you’ve never done before. 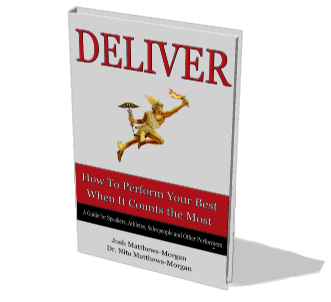 Buy Deliver on Amazon Today!